Home Camera Events Fujifilm News Fujifilm X-H1 Launches in the Philippines; Yours for Only Php106,990! 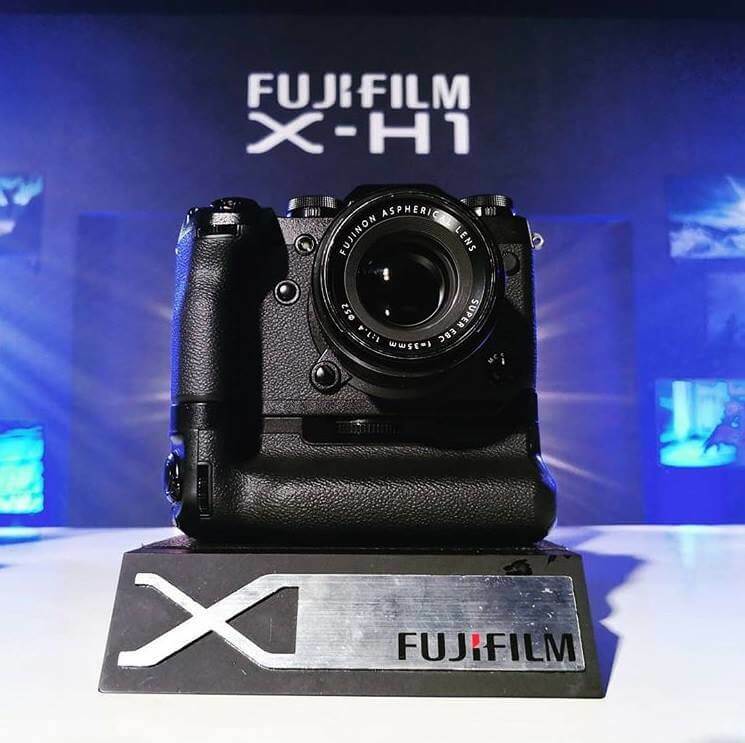 Fujifilm X-H1 Launches in the Philippines; Yours for Only Php106,990! Fujifilm's X-series has already established as one of the best cameras. The bolstered that lineup with the new mirrorless camera in the series the X-H1. The Fujifilm X-H1 is a combination of a robust and durable body that can deliver great image quality an easy-to-use operation. It is the first camera in the X-series to have the 5-axis In-Body Image Stabilization (IBIS) that has a maximum 5.5 stops. It also has a flicker reduction mode that enhances indoor shots. The build of the X-H1 focuses on ruggedness for different situations. It has dust resistance, water resistance and the ability to operate in sub-zero temperatures of up to -10 degrees Celsius. The body is also made out of magnesium alloy 25% thicker than the ones used for the Fujifilm X-T2. Even if it focuses on durability, the X-H1 still has a relatively sleek design that is easy to hold and operate. It is going to be compatible with a wide range of interchangeable lenses that is going to be released later this year. The X-H1 will also have a high magnification, high precision electronic viewfinder. It has a 0.75 magnification with a 3.69 million resolution, which is the highest among mirrorless cameras. The viewfinder is fairly accurate with only a 0.005 seconds of latency and a framerate of 100 FPS. The LCD monitor will be a 3-direction lit, 3-inch panel. It has a laser-grip design that gives a more stable and comfortable grip when holding the camera. It also boasts a nearly silent shutter that can be handy during sound sensitive shoots. It also has an AF-ON feature that allows for an easier operation of the autofocus just by using your thumb. In addition to that, it has a better auto focus algorithms that will provide better and faster focus. Aside from being a great photography camera, the X-H1l can also be an ideal movie production camera as it has better and more comprehensive range of video features such as ETERNA mode, extreme slow motion at 1080p/120FPS and the DCI 4K mode. It also has its very own internal F-log recording. The Fujifilm X-H1 Body will retail at PHP106,990 and the Fujifilm X-H1 Grip Kit is going to PHP124,990. Pre-orders are already going on at authorized dealers nationwide.